The Chief Privacy Officer engaged in information exchanges with the privacy advocacy community to ensure they are well informed about DHS programs and projects that may pose particular privacy concerns. Upon her appointment, the Chief Privacy Officer began a series of introductory outreach meetings with advocacy groups to begin a relationship of open dialogue and to demonstrate that she is interested in hearing their concerns. In addition, the Chief Privacy Officer has begun holding quarterly open meetings with the privacy advocacy community. These meetings, called Privacy Information for Advocates meetings, are intended to brief the advocacy community on the work of the DHS Privacy Office and provide a forum for the privacy advocacy community to express feedback or concerns to the Chief Privacy Officer and the Department. The first meeting was held in June 2009, with future meetings scheduled in September and December 2009, and March 2010. Other outreach efforts included briefings on programs such as TSA’s Whole Body Imaging Program, NPPD’s Comprehensive National Cybersecurity Initiative (CNCI), and the REAL ID Program. To supplement these face-to-face meetings, the DHS Privacy Office makes efforts to alert the privacy advocacy community by email when new reports or privacy documents of major importance are released. In addition, the Office periodically disseminates a newsletter, Privacy Matters, designed to highlight Office activities. The DHS Privacy Office views the privacy advocacy community as an important resource for policy development and invites them to bring their concerns and expertise to the attention of the Office. The 2nd Annual Report of the National DNA Database Ethics Group has been released. The report criticizes the government's response to the European Court of Human Rights ruling that keeping the DNA of people arrested but not charged was unlawful. Nearly 2,000 people have had personal information about themselves lost by the Ministry of Justice over the past year, in a series of incidents listed in the department's accounts, published last week. UPDATE 9/24 11:00 AM CST : The bill, sponsored by a local Senator Richard Moore, is still in the House Ways & Means Committee in Massachussetts. According to this news report Tuesday, it appears S.2028, Massachussetts flu vaccine bill is on the Governor's desk. The State law is considered unconstitutional by Judge Napolitano. This report conflicts with Massachussetts ACLU, who reported the bill has not passed both chambers, Thursday 9/23. Kick the Can, Anyone? Anyone? game of pass the bramble. "Pass the Dutchie... to the left one side... "
The following rhetoric is a pleasant surprise from colleague, Mark Lerner, known for possessing good information about Real ID. Today the DHS extended the deadline for states to ask for an extension in order to comply with the Real ID Act 2005. Prior to today the states had until 11 October 2009 to ask for an extension. States now have until 1 December 2009. What I find very interesting is the strategy DHS and others are using to persuade states and Congress to agree to support the PASS ID Act, SB261. DHS is reminding states and Congress that under current federal law (The Real ID Act 2005) DHS will be left with no alternative but to comply with the Real ID Act, 31 December 2009. I was present for Secretary Napolitano's testimony before the Senate Homeland Security and Government Affairs committee on 15 July 2009. The Secretary verbally drew an image of long lines at airports and entrances to federal facilities. According to the Secretary everyone would have to be subject to secondary screening procedures because not one State would be Real ID compliant by 31 December 2009. I question why it is that we seem to always be told that if we do not do something today the sky will fall. 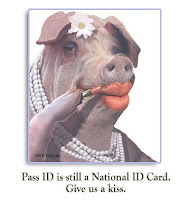 Yes, the PASS ID Act, if passed and signed into law would give the States new timelines to comply with federal legislation (PASS Act) and the old timelines of the Real ID Act would no longer be in effect. There are other alternatives. Congress may decide to extend the implementation date for the Real ID Act 2005 past 31 December 2009. If I did not trust DHS I might think that the extension is being given so that the opposition to the Real ID Act would not be apparent on 11 October. If the 11 October date came and States did not ask for extensions there would be "discussion" about why states were not asking for the extensions. By extending the date until 1 December it gives Congress the time to pass the PASS ID Act legislation and have it signed by the President before any discussion takes place. The best alternative would be if Congress would allow opposing testimony to the PASS Act and consider additional alternatives to the Real ID Act 2005, PASS ID Act (SB1261) and the Real ID Repeal and Identification Security Enhancement Act of 2009 (HR3471). Senator Lieberman did not allow any opposing testimony to the PASS Act when the legislation was in the committee he chairs. It is noteworthy that Senator Lieberman did not allow opposing testimony and now DHS seems to want to eliminate the "discussion" about why States would not as for extensions to comply with the Real ID Act. For those of you who do not know, many of those who oppose the Real ID Act oppose the PASS ID legislation for the same reasons. It is time for a discussion about civil liberties and national security. We, as a country have gone through this charade before. 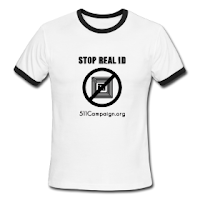 There was no debate at all in the United States Senate when the Real ID Act 2005 passed and was signed into law. BTC Editorial - We celebrate the victory of Net Neutrality by posting an editorial. We recognize the static between mainstream press and newer sensational journalism being cranked out by smaller government conservative blogs. Bloggers, like myself, are willing to report exactly what is wrong with delegating too much steerage to today's U.S. government. The tenure of the current federal corp of political players has become excessive and damaging to freedoms we are entitled to at birth as Americans. Big fans of the Constitution understand the integrity behind a positive, robust checks and balance system. Unfortunately, we don't have that system in good working order right now or we are not working with that system at all. In the case of the latter, we need dust off the enduring preserves of personal power we all possess and take responsibility for ourselves and for the actions of our government. In essence, we call you to a different type of service to your country, government accountability. 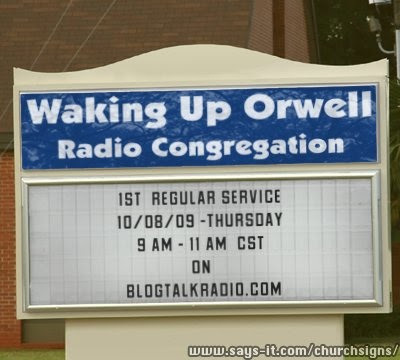 This service is not necessarily one where you take up armed weapons and storm a tangible enemy. Let's not aim for the fly with a sledgehammer and wreck the building in the progress. You don't send in a bull to negotiate in a room filled with fine china. You send a decisive shrewd adult who will tell the crooked merchant inside they have unpenned the bull and unlesss they correct their course in a hurry the bull will be by shortly to break their cases. This is a preface for my criticism of the often reckless turns of some of my alt-news contemporaries who indulge in apocalyptic levels of fearmongering with no empowering equipment or solutions for the ill informed masses they incite to hysteria. Somehow the affect this creates is a calcification or a hardening to the concerns of the people by political leadership. When they are approached they tend to ignore people who have been stirred up into a hornet's frenzy over irresponsible and inadequate reporting. Politcians tend to adopt a defensive mask which appears much like indifference. BTC- FINALLY.. A BREAK FROM THE SURVEILLANCE AGENDA!!! The fight for Net Neutrality took a big step forward on Monday with the chair of the Federal Communications Commission announcing plans to expand the rules to protect a free and open Internet. In a speech at the Brookings Institution, Julius Genachowski said the FCC must be a "smart cop on the beat” preserving Net Neutrality against increased efforts by providers to block services and applications over both wired and wireless connections. Genachowski’s speech comes as a breath of fresh air in a Washington policy environment that has long stagnated under the influence of a powerful phone and cable lobby. WASHINGTON, Sept 15 (Reuters) - Intelligence activities across the U.S. government and military cost a total of $75 billion a year, the nation's top intelligence official said on Tuesday, disclosing an overall number long shrouded in secrecy. In an unclassified version of the blueprint released by Blair's office, intelligence agencies singled out as threats Iran's nuclear program, North Korea's "erratic behavior," and insurgencies fueled by militant groups, though Blair cited gains against al Qaeda. Blair also cited challenges from China's military modernization and natural resource-driven diplomacy, as well as from efforts by Russia to reassert its power. "I think for the first time we have a good understanding of the world that we're in," Blair said. Officials said the $75 billion total figure cited by Blair incorporated spending by the nation's 16 intelligence agencies, as well as the amounts spent by the Pentagon on military intelligence activities. It has disclosed the amount spent by the 16 intelligence agencies -- $47.5 billion in 2008 alone -- but those figures did not incorporate the military's intelligence activities, officials said. Blair, in a conference call with reporters, explained that his four-year strategy was not set up on the "traditional fault line ... between military intelligence and national intelligence." "This whole distinction between military and non-military intelligence is no longer relevant," Blair said. There’s a growing movement on the part of states to override federal laws and regulations under the 10th Amendment, which reserves powers to the states not delegated to the federal government. So far, the battle lines have been drawn at Real ID, medical marijuana and firearms, but federally mandated health insurance may not be far behind. State sovereignty resolutions were introduced in 37 states this year; seven passed. Although the resolutions are not legally binding, Tenth Amendment Center founder Michael Boldin said they “serve notice” that states will no longer automatically enforce federal mandates in areas they believe the central government has no constitutional authority. Montana’s first-in-the-nation law reasserting state authority with the regulation of firearms manufactured and sold within state boundaries was soon followed by a similar law in Tennessee. Officials from the Bureau of Alcohol, Tobacco, Firearms and Explosives have already sent letters to gun dealers and federal permit holders in both states telling them to ignore the state law. A court battle is next. Nearly 20 other states have similar legislation in the works, including directives to their governors to order National Guard troops home from Iraq and Afghanistan. Next year, Arizona will have a state constitutional amendment on the ballot that allows residents to opt out of any national health care program. “The federal government doesn’t rule to limit its own power very often. I don’t think going to court and trying to litigate is the best way to put the federal government in a constitutional box,” Boldin said, pointing out that popular resistance to the hated Stamp Act led by Revolutionary War heroes Samuel Adams and Patrick Henry “effectively nullified the law.” The same thing happened with the Real ID Act, which many states refused to enforce. “The feds had to back off three times,” Boldin said. State sovereignty supporters stand on solid historical ground. James Madison’s “Virginia Plan,” which would have given Congress veto power with state laws and allowed the federal judiciary to hear all disputes, was soundly defeated by the signers of the Constitution. A needed check on an overreaching federal government that grows bigger by the day, the reassertion of state sovereignty should be a welcome development to Americans concerned about losing their liberties — just like the Founders were. CLG<<Sept 21 (Reuters) - Shares of VeriChip Corp (CHIP.O: Quote, Profile, Research, Stock Buzz) tripled after the company said it had been granted an exclusive license to two patents, which will help it to develop implantable virus detection systems in humans. The JUSTICE Act would renew two of the three expiring PATRIOT provisions, PATRIOT sections206 (John Doe roving wiretaps) and 215 (FISA orders for any tangible thing), but would also add strong new checks and balances to those provisions and to the PATRIOT Act in general, especially those provisions dealing with the government’s authority to issue National SecurityLetters. If passed, the bill would also establish critically important protections for Americans against surveillance authorized under the FAA. Of particular importance to EFF's clients in theHepting v. AT&T case and to the preservation of the rule of law, JUSTICE would completely repeal the FAA provision intended to legally immunize telecoms like AT&T that illegally assisted in the National Security Agency's warrantless wiretapping program. Last summer when Congress passed the FAA, Senate Majority Leader Harry Reid stated his intention to revisit that law as part of the PATRIOT renewal debate, and we're very glad that Senators Feingold and Durbin have kick-started that process. We'll be blogging more about the JUSTICE Act and other PATRIOT-related proposals in anticipation of the Senate Judiciary Committee's hearing next week on PATRIOT reauthorization, and we'll alert you when the time is ripe for you to contact Congress through our Action Centerand voice your support for PATRIOT reform. In the meantime, EFF applauds Senators Feingold and Durbin, as well as cosponsoring Senators Akaka, Bingaman, Menendez, Merkley, Sanders, Tester, Udall, and Wyden, for their continuing hard work to protect Americans' civil liberties. EFF would prefer that none of the expiring PATRIOT provisions be renewed, but if they are, they absolutely must be accompanied by meaningful new checks and balances like those introduced today. It's time that JUSTICE was restored. 1.Actually, although the three expiring provisions are commonly referred to in the press as being PATRIOT provisions, one of the expiring provisions — the so-called "lone wolf" wiretapping provision allowing the government to target for foreign intelligence surveillance individuals that have no link to any foreign power or terrorist organization — was actually passed as part of the Intelligence Reform and Terrorism Prevention Act of 2004.